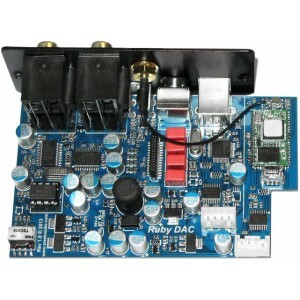 Creek Ruby 2 DAC module is designed to upgrade the Creek Evolution 50A and 100A amplifiers and features 4 SPDIF inputs for both optical and co-axial connections as well USB 2.0 input allowing you to stream audio content from a PC to the amplifier and then control it via the EVO remote control. To retain the greatest sound quality from your amplifier, the RUBY DAC module uses a high-end Wolfson WM8742 DAC chip, designed in Scotland. 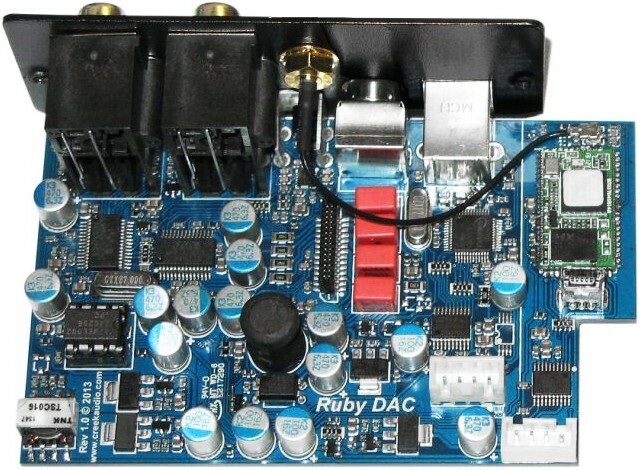 Enabling mobile applications, the RUBY DAC incorporates the extremely practical Bluetooth connectivity feature in the amp so smartphones or tablets can be synced to the amplifier and your entire playlist can be streamed wirelessly. This amount of connectivity is not expected of such a small module yet in addition to this, there is also an integrated FM tuner circuit, the same one found in the remarkable AMBIT module. Further enhancing the sound quality, the DAC allows you to select the tuner's digital output and convert it to analogue through the Ruby's own leading DAC. The FM radio performance is only limited by the studio signal and antenna quality used therefore it is recommended that you choose an external antenna for the best results.